'I think something's going to happen tonight.' predicted Bono, just a few songs into tonight's opening show at Wembley Stadium. It did too. First The Hours and then Elbow, with a particularly winning set, had caught the mood on a balmy summers evening and from the moment Larry opened up Breathe, the momentum barely slowed. Too many stand-outs to list but our highlights included: a stomping version of 'Crazy' turning the neighbourhood into a disco; the joyful stadium karaoke of Unknown Caller; some breathtaking new visuals in Sunday Bloody Sunday and Walk On; the opening of 'Still Haven't Found' when 90,000 people took over the vocal; Bono reminiscing about his first visit to this city ( 'I slept on Waterloo Station as an 18 year old with a demo of our song Out of Control, the city's been good to us.' ) and a moving dedication of With or Without You 'For Beautiful Eunice Kennedy Shriver', longtime friend of the band who died earlier this week. London shows are usually good and this was a great one - but what did you think? Have you caught your breath? How was it ? Add your reviews below: what was your favourite track, the moment you'll never surrender? This was the second time my fiance and I have seen U2 and they were bloody brilliant! My friend came along to who hasn't seen them before and we all agreed that it was one of the best things we've ever seen. That stage, wow! Only downside was that disco themed "Crazy". A great song that turned into the worst bit. They played "One" though and as that's quite possibly the best song in the world you couldn't help but forgive them and go off into the night beaming with joy that you'd just seen something really special! The stadium show brings a different dynamic to the bands ability to involve the crowd. The sound echo's throughout; a chorus of fandom...unbelievable. Still Haven't Found's opening by Wembley took my breath away. Great show ranking high amongst the others I've seen over the last 17 years. 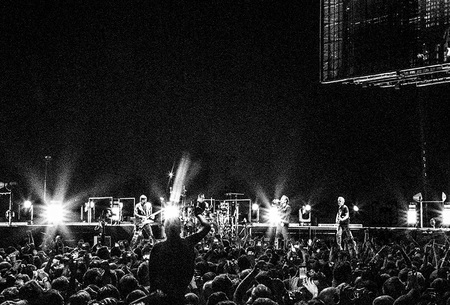 This is the best concert with U2 I ever been to and the best concert at all.... great show. Thanks guys! Worth travelling all the way from Denmark. I'm still lost for words. A concert that I shall remember and say is was there on that summers evening on the 13th August 2009. Am still buzzing from last night, what an amazing show. Had a tear in my eye and felt on top of the world. Wow,Wow,Wow...This was top draw,my legs are still shaking,This show was awesome,everyone was up on there feet.I still get hairs standing on the back of my neck,and tonight was no different.The sound,the lights,the revolving 360 tube was simply brilliant.The boys never cease to amaze me,with one cracking show after another,and this was the best I' have ever seen.I love you boys,no one can touch you on live,Im happy as larry sitting here.I hope you bring the dvd out of this show,simply magnificent. Just going to bed after one of the greatest nights of my life, my head is still thumping and the tracks reverberating through me, i can still hear the sound. This was an amazing night for me on so many levels. "Stuck in a Moment" was released just before my wife died, so it has always had a very special place in my heart. To hear it played live was a very emotional moment, and brought more than one tear to my eyes. Absolutely beautiful. 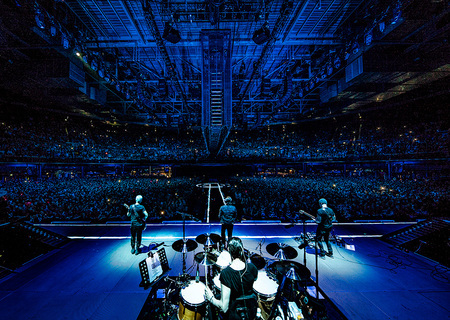 It was my sons first U2 concert, and he admitted on the way home, that he had been a bit apprehensive, not knowing what to expect - now he cant wait for the chance to see them again, despite the sore feet, and the sorer throat. Apart from Moment, my personal highlights were "Crazy" and "Unknown Caller" - first time I have ever seen a U2 song with subtitles! To all involved, thank you for a great, fantastic, fabulous night. cannot believe how over the last 22 years every concert has got better and better, introduced my 12 yr old godchild to them tonight.....her words "AWESOME".....need to go calm down and rest my legs after all that dancing singing and cheering, brilliant. What was it about "I still havent found what I'm looking for" tonight? It felt like it was a tour first judging from the response of both band and the crowd. In fact I thought it wasn't until I checked the web site and saw it was a reguar player.. For some reason there was an infectious moment when the crowd just wanted to carry the song as if we had waited years to hear it. It certainty caught me by surprise and I am the last person that would normally even want to hear this in their set. (too many other cooler tracks waiting in the wings). Sonically the music was awesome for such a venue ( a bit trickier to pick out Bonos conversations with the crowd though). Thanks for a great night in London..... When I was all messed up and I heard opera in my head Your love was a light bulb hanging over my bed. just got in...what a night! was a great show..thing that stood out for me was when we sang..stilll havent found what i am looking for...and the band was in shock and listened!! was in the pit! bring on cardiff! The show tonight was just awesome. The crowd were amazing & the band seemed genuinely touched by the reception. For me the highlight has to be the crowd singing the first verse of I Still Haven't Found..
what a night never seen anything as breath taking as this sent shivers down my spine at some points.. LIGHT MY WAY!!! really great!!!! every single second were even better than the really thing! Great show, great crowd. Wembley was jumping! 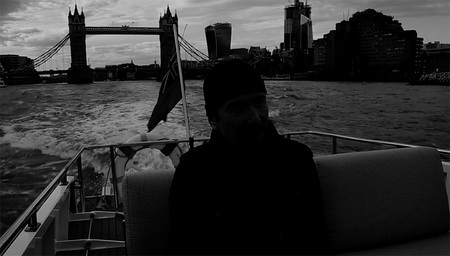 The Edge plays such a mean guitar. Loved it. I really enjoyed the show tonight. the sounds was a bit ropey in parts, it was really hard to hear what Bono was saying but the atmosphere was great - really friendly and fab lighting etc as ever from Willie. I loved the mirrorball moment, it totally shrank the stadium, I want one! Fave tracks - there were so many but 'walk on' always moves me. It takes me back to a sad time of longing and waiting and I remember Aung San Su Khi (sorry about spelling if wrong) and her amazing faithfulness and witness. 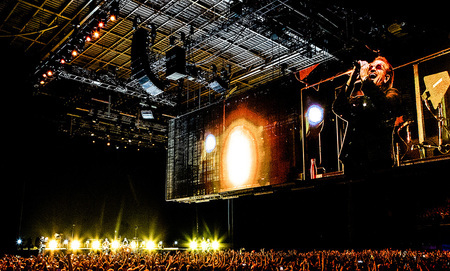 U2 always deliver a fantastic show. My son (12) got to see them for the first time, and we were up front on the barrier! Now on to Sheffield!